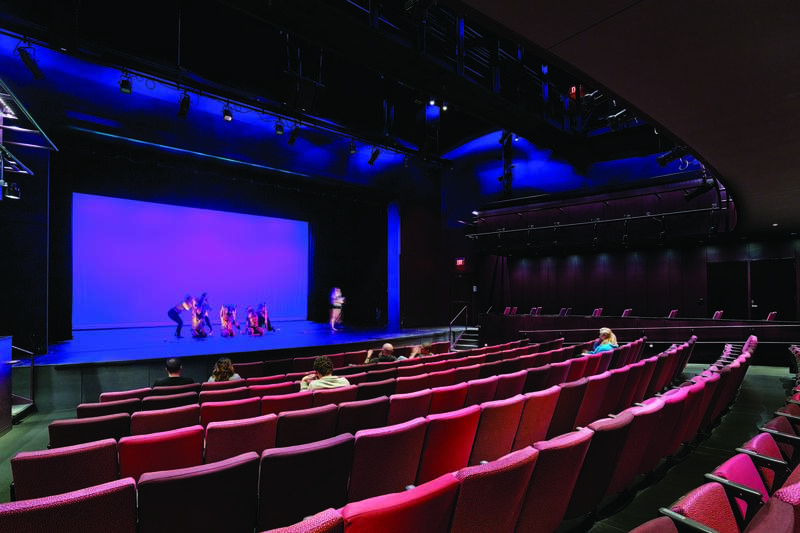 The Sophia Gordon Performing Arts Center at Salem State University transfigured the Massachusetts school’s 1958 Main Stage Theater building from an antiquated general-purpose auditorium into a modern proscenium venue designed for aspiring professionals. University and college campuses nationwide are facing historic challenges—pressure to attract the best students, coping with years of deferred facility maintenance, managing physical growth, and meeting elevated expectations for sustainability. Addressing them with today’s reduced funding requires new mindsets and dramatic new approaches. Higher education design is a core practice sector for our fi rm. We focus on innovative strategies for individual institutions that respond to issues common to many universities. Tackling recent initiatives such as a mass timber cross-disciplinary building, sustainable energy facilities and chiller plants, and new arts centers within historical shells has provided us substantial research and discussion time with key decision makers. + RECOGNIZE four common issues impacting today’s higher education campus projects. + IDENTIFY viable strategies to address the challenges for future campus development. + DISCUSS the impact of interdisciplinary and research partnerships on the evolution of the university’s buildings and facilities. + LIST several ways in which sustainable development affects every dimension of a higher education project.